A glorious past, a traumatic present, an uncertain future. What are we to make of Tibetan Buddhism? In the West it has an exotic, even glamorous image: there are books about secret teachings, and films about mysterious lamas. But if Western Buddhists are to learn anything of real value from Tibet, we must look beyond the merely exotic. Tibetan Buddhism, as Sangharakshita makes it clear, is a practical tradition with much to teach us. Sangharakshita has spent many years in contact with Tibetan lamas of all schools, within the context of a wide experience of the Buddhist tradition as a whole. He is admirably qualified as a guide through the labyrinth that is Tibetan Buddhism. 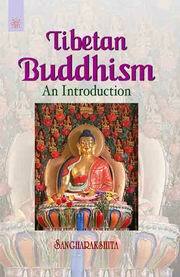 In this book he gives a down-to-earth account of the origin and history of Buddhism in Tibet, and explains the essentials of the tradition.